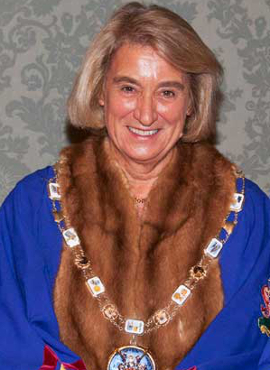 Wendy Hyde was elected to the Court of Common Council in the City of London in November 2011, representing the Ward of Bishopsgate. Prior to that, she had spent the majority of her career at the Bank of England, most recently setting up the London Region Agency. The role of the Agencies is to report to the Monetary Policy Committee on economic conditions as seen by businesses and related organisations in their region. Previously she had spent 20 years as a banking regulator, working with institutions ranging from small deposit taking companies to large retail banks as well as a number of foreign banks operating in London. This included travelling abroad to visit the head offices of foreign banks, overseas subsidiaries of UK banks and negotiating with overseas regulatory authorities. After retiring from the Bank of England, Wendy spent some time working with the manufacturing organisation EEF as Head of External Affairs – London, visiting members to identify their concerns and helping to deal with issues on a regional and national level. Wendy became a freeman of the World Traders in December 2002. She is a Trustee of the World Traders Charitable Trust. She has previously chaired the Membership Committee and been a member of the Finance and Events Committees.